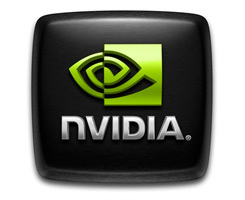 On this page you can download NVIDIA 3D Stereo Driver 174.76 (official). NVIDIA 6, 7, 8 and 9 Series Driver. Stereo drivers are intended to enable the NVIDIA stereo Control Panel for the support of 3D Glasses. This is a beta driver so there might be a bit of stability issues for you. Then again it has been a long time since NVIDIA released such a driver so it'll make loads of you quite happy. With this release we finally see proper Windows Vista 32-bit support. Two files are required to use your 3D glasses with any GeForce card. The first is the ForceWare video card drivers (I suggest Forceware 174.74), and the other is the NVIDIA Stereo drivers you can download from this download section. Must be used with Release 174.74 or later graphics driver. We have a discussion thread open on these drivers in our 3D Stereo forums. Note: If you have problems downloading NVIDIA 3D Stereo Driver 174.76 (official), please try to stop using your download manager and avoid right clicking on files. Also, check your firewall settings, because some mirrors may require that you do not block the HTTP referrers.